Come tour the new Prudential Tower with the Green Team! 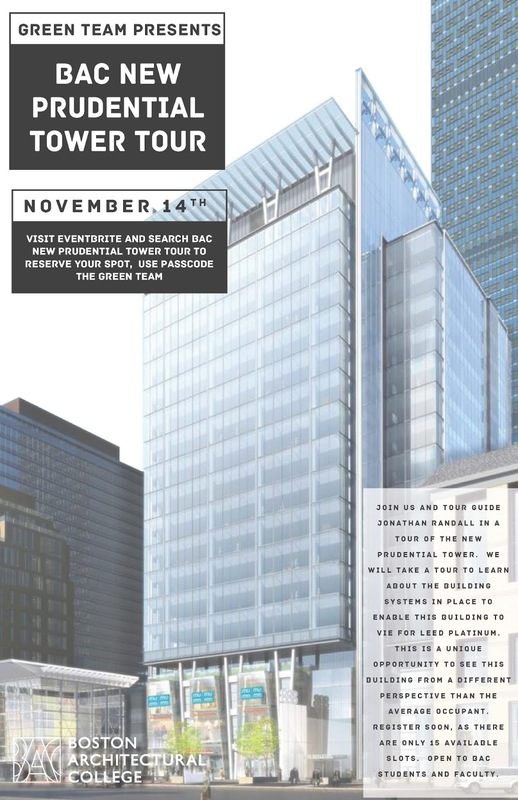 Built to LEED Platinum standards, we will explore the Prudential Tower, learning about the building systems in place to allow for this new high-rise to have a small ecological footprint. 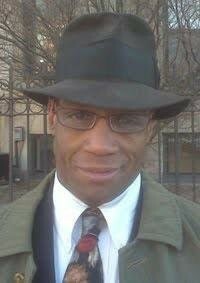 The tour will be lead by Jonathan Randall, who is one of the BAC's overseers and who is Senior Vice President of Construction for Boston Properties- a real estate investment trust that manages the Prudential Center. Accompanying the tour will be Ben Myers- head of Boston Properties' corporate sustainability group. 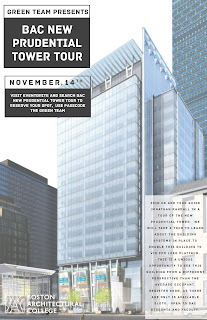 Come on the tour and get a unique experience in viewing one of Boston's most sustainable new buildings.